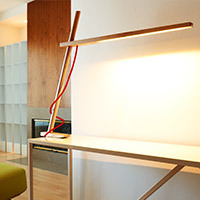 Office lighting and furniture get the job done, literally. In your home office or workspace area, bright task lighting makes it easier to clearly and comfortably see what it is you're working on. Assuming you perform more than one kind of task in your work space--using the computer, paying bills, reading or writing--such home office lighting should also be focused, adjustable and dimmable to accommodate any and all activities. 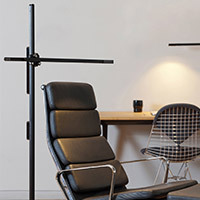 While most often found on the desk, task lights are also available in wall-mounted and floor lamp options if you'd rather keep your work surface clear. And the right workspace furniture is key to your productivity. 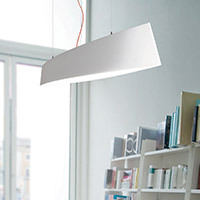 In the home office or workspace, your choice of lighting is fundamental to your productivity. 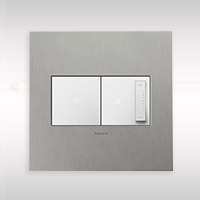 The right light fixture lends itself to keeping you on task and productive in whatever you are doing. 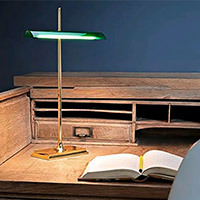 While portable lamps are evident in almost any office area, this collection of desk lamps, task lamps and library lamps allow you to get creative with how and where you will place your lighting. Linear suspension and pendants hang brightly over desks, providing a spread of illumination for the entire room (especially useful over rectangular desks or conference tables). 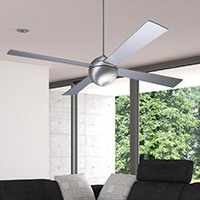 Recessed fixtures are an understated to way to accomplish general, ambient lighting and if you need to move air around the room, a ceiling fan with an integrated light kit is recommended. 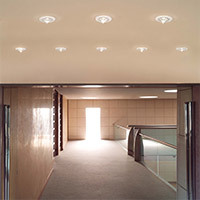 LED is also an important consideration with office lighting. 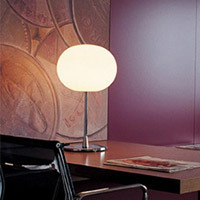 In addition to their inherent energy efficient nature, you'll also enjoy the bright, focused illumination they provide. With anything you choose, you'll be guaranteed to enjoy the additional light in the room. Whether you have a whole room dedicated to a home office or just use a small corner of the living room as a work space, an array of modern office furniture will fit in to provide distinctive style and organization. Today's modern office desks are light-looking and minimal, with a few drawers or none at all. 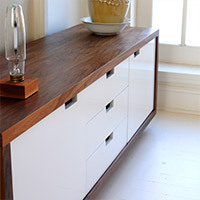 Supplemental file cabinets and credenzas provide extra storage and coordinate with the chosen work surface. While many storage and filing cabinet options fit in perfectly with a corresponding desk, you may actually enjoy an unmatched, eye-catching element in the room. Lastly, choose a task chair that matches the atmosphere of the space while also ensuring your complete comfort. After all, why not make your working area as comfortable and enjoyable as possible? With a cool desk, a comfortable chair and task lighting in place, the only thing left is to choose the right office desk accessories. The desk sets, pencil sharpeners and paper clip holders from Alessi provide even more color, personality and function in your office and help make work...well, fun. 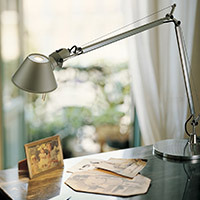 And look to Blomus for contemporary stainless steel accessories you can use to enhance the persona of any working area. Finally, check out our Ideas & Advice section for creative ideas you can add to your office space.